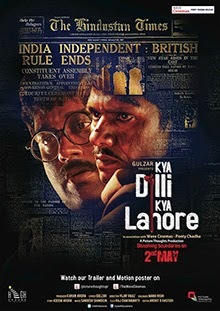 If good intentions were enough to make a good film, then Kya Dilli Kya Lahore would be a winner. It’s a compelling idea with ineffectual execution. The plot might have made good theater but as cinema, it’s staggeringly tedious. Kya Dilli Kya Lahore demands that we stay interested in only two actors for almost two hours. Under any circumstances, that’s a tall order. I’m going with two stars. Unlike the war films attempted earlier [BORDER, LOC KARGIL, LAKSHYA come to your mind instantly], KYA DILLI KYA LAHORE is not a war film, but a self-confessed India’s first ‘anti-war’ film. Also, the fact that Vijay Raaz has helmed the project makes it special. The film is a satire on the sensitive relations between India and Pakistan and focusses on the emotional bonding between the cook belonging to the Indian army and a Pakistani soldier, both of whom are stationed at the Indo-Pak border. On the whole, KYA DILLI KYA LAHORE is a one-time watch mainly for its offbeat storyline. Kya Dilli? Kya Lahore? Kya ‘baat’! Yes, battle-banter over cross-border firing and a bombardment of dialogues forms the crux of this film, set at a time (1948) when the border lines between India and Pakistan reeked of fresh blood. the shuddh Urdu-Punjabi-Hindi is often difficult to grasp amidst raging emotions. Hence, it might not appeal to all. Also, the film feels a tad long. One of the finest things about ‘KDKL’ is Gulzar’s poetic prologue. Without the usual trappings of filmi fanfare, this story has its heart in the right place – pure and undivided. Like pre-partition brotherhood. Aseem Arora’s story is different and although it tries to show that at the end of the day, even soldiers and armymen are human beings, the human drama does not really strike a chord in the audience’s hearts. 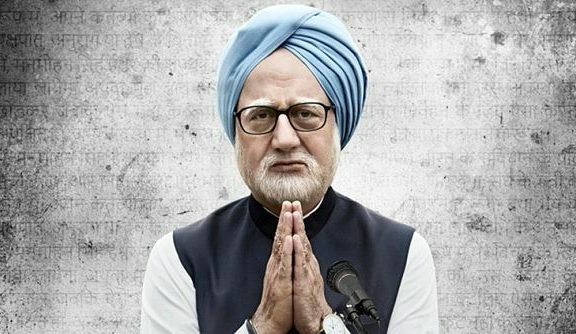 The screenplay, penned by Aseem Arora, Pratham S. Jolly and Manu Rishi, stagnates after the initial few reels because it becomes repetitive to the core. On the whole, Kya Dilli Kya Lahore is too class-appealing to create any impact whatsoever at the box-office. Its dull promotion will only add to its problems. Flop! The partition has given us many memorable films. Kya Dilli Kya Lahore brings us a heart-warming, seriocomic parable on cross-border amity. With two outstanding actors – Vijay Raaz and Manu Rishi, this saga of soldierly solidarity looks at a historic twist of fate with unflinching sincerity and heart breaking irony. The writing is lucid, literate, luminous and funny. It doesn’t falter. There’s something about the film that reminds you of the Bosnian Oscar winner ‘No Man’s Land’, which was a poignant reminder of the futility of war, and the tragic waste of human lives. ‘Kya Dilli Kya Lahore’ had the potential to be as powerful, maybe more, because it is our story. Zutshi and Pradhan are ciphers but they are on briefly. Most of the screen time is split between Raaz and Rishi. They are both watchable, but single-tone. And that’s because the plot is so thin. This film could have been more. The story is a bit stretched in parts but the credible performances make it worth watching. Kya Dilli Kya Lahore may be a slow film but its climax will certainly touch you. Its poetic optimism will stay with you for long. Watch the film for Gulzar’s poetry, the performance of its lead pair and an amazing climax. Avoid it if you love pace and action. This one offers neither a fast-paced story nor is there any blood and gore. There can be no two views on the fact Kya Dilli Kya Lahore is an immensely watchable film. Despite spitting similarities with No Man’s Land, the heartfelt plotline holds a certain enigmatic appeal in its story. A Pakistani and an Indian have more in common than expected. Vijay Raaz deserves a pat for tackling the film with superseding gravitas and strength. Loopy second half aside, this film is the closest caliber of recent releases has come to excellent.